In incomplete data missing attribute values may be universally interpreted in several ways. Four approaches to missing attribute values are discussed in this paper: lost values, ”do not care” conditions, restricted ”do not care” conditions, and attribute-concept values. Rough set ideas, such as attribute-value pair blocks, characteristic sets, characteristic relations and generalization of lower and upper approximations are used in these four approaches. 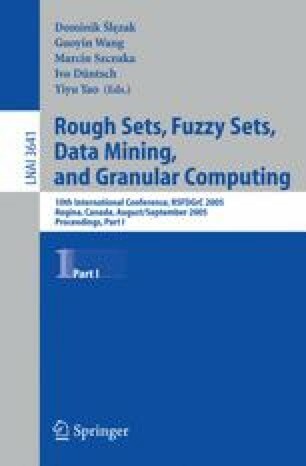 A generalized rough set methodology, achieved in the process, may be used for other applications as well. Additionally, this generalized methodology is compared with other extensions of rough set concepts.